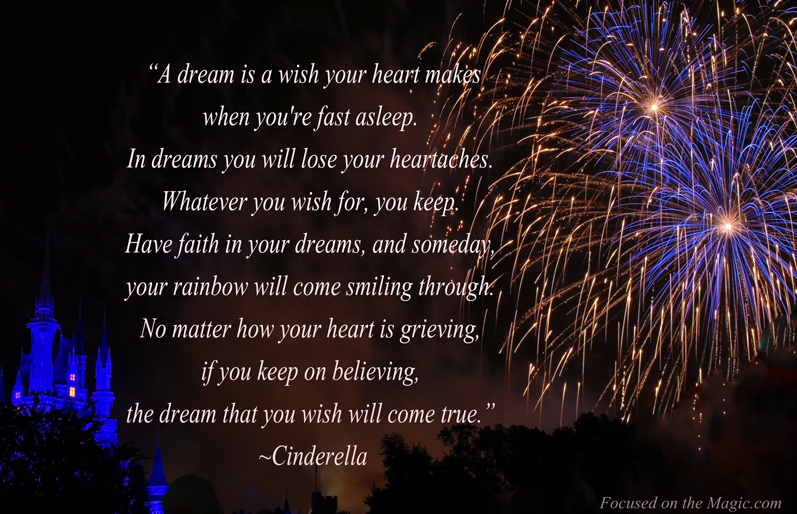 This week we are focusing on one of my favorite inspirational Disney quotes from Cinderella. It's our way of celebrating the recently released Cinderella Two-Disc Diamond Edition Blu-ray/DVD Combo. Oh my gosh - how beautiful! Thanks for joining in the fun this week! Thanks so much Heidi! I took this Wishes picture last week and when I saw the quote I immediately thought of it. Thanks for such a fun hop!! That is a beautiful picture! Where were you during the show to get such an amazing shot?